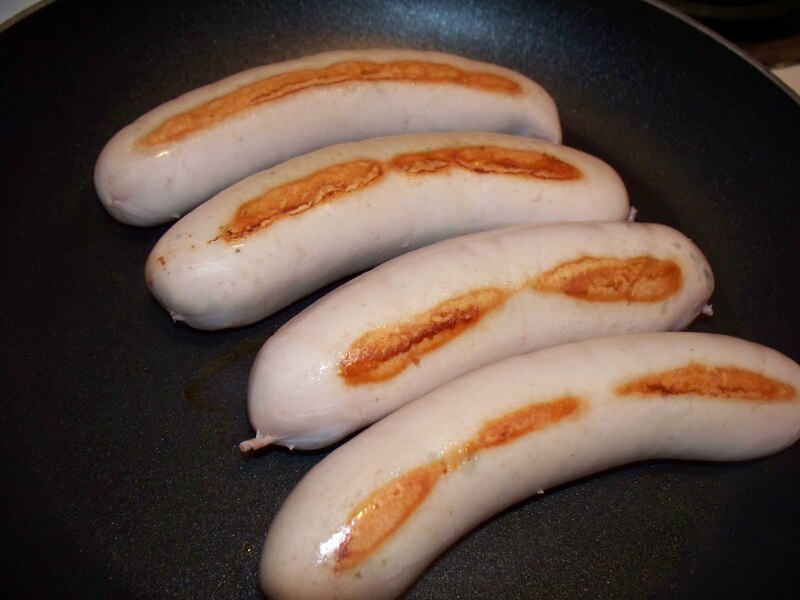 While pasta is cooking, sear sausages (they are pre-cooked but you’ll want to give ’em a good searing and warm up). Remove them to a cutting board and slice into 1/4″ thick rounds. (You’ll notice four sausages above in the picture because I kept the other two for other dishes). 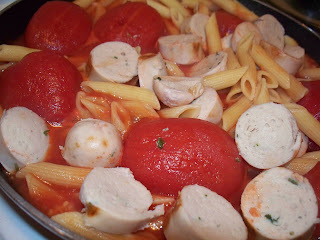 Pour the can of whole peeled tomatoes and sauce into the same skillet used for the sausages. Add the sausage slices and the cooked pasta. Mix together until all the pasta and sausage is coated with the tomato liquid. Pour into an oven-safe dish. Sprinkle the grated cheese over the top and cook for 10 minutes until dish is warmed through and the cheese is melted. 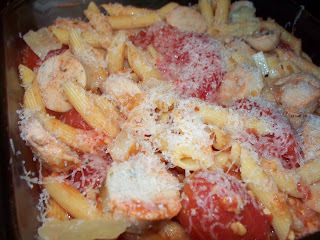 kid friendly, leah charney, pasta, quick meal ideas, tomatoes. Bookmark the permalink. Post a comment or leave a trackback: Trackback URL.